Educating and Preserving History since 1963. Since the mid-1960s, the McHenry County Historical Society has provided the methods and means of presenting McHenry County History to enrich life. Please join us in celebrating over 50 years! Funding for the Society comes from membership dues, admission fees, donations and a trust fund. For many years, we have published a comprehensive quarterly newsletter, The Tracer. To receive this valuable resource, join our organization. For more information visit The Museum. We very much appreciate your interest and invite you to participate. Museum is Open May-October* in Union IL. On July 4, 1976, the Society's museum in Union, Ill. officially opened to the public. The Museum is open May through the first Sunday in October, Tuesday through Friday from 1 p.m. until 4 p.m., and on limited Sundays as shown on our calendar from 1 p.m. to 4 p.m. Admission charge for nonmembers. Adults - $5, Seniors (60+) and Students - $3, and Family (Includes 2 family member adults and 2 or more children) - $12. The museum is occasionally open during special programs in the evenings or weekends. 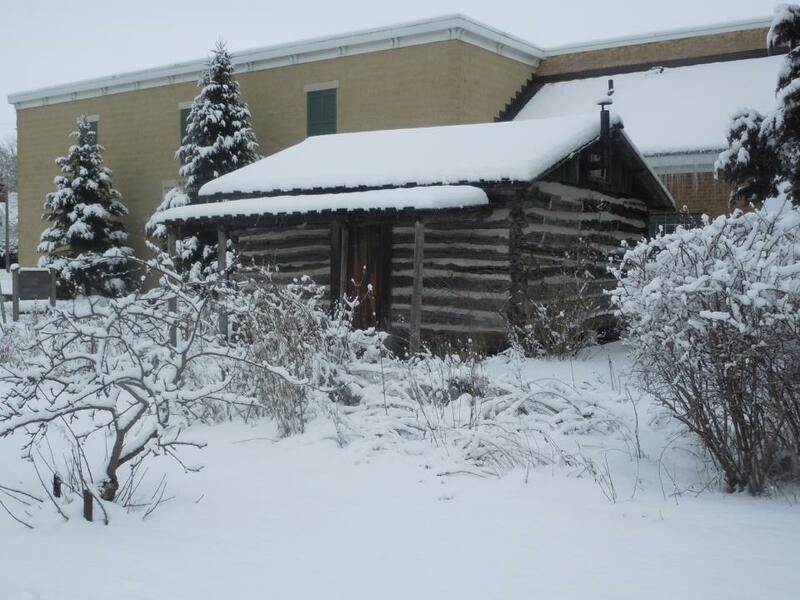 Our comprehensive collection includes several preserved buildings: The 1843 Gannon Log Cabin, an 1885 town hall, now known as Perkins Hall; a 20th century modern tourist cabin, restored and housed inside the Museum. In 1982, a local history research library was added to the museum. In 1988, we acquired the West Harmony School, an 1895 one-room schoolhouse now used for circa.1900 school programs at our Museum location in Union. In 2009, we acquired the 1898 Riley Methodist Church. The McHenry County Historical Society also collects local history. Our Research Library has as its purpose the acquisition, cataloguing and preservation of documentary materials that relate to the history of McHenry County and its people. When consistent with the mission of the Society, these materials may be made available to the public for research, study and promotional purposes. The library hours are Monday through Friday, 9 a.m. to 4:30 p.m. year round. There is a fee for use by non-members.The Research Library is accessible by appointment only. Walk-ins cannot be accommodated no matter what the circumstances or the distance traveled since supervision is required. Materials must be retrieved by staff for security and archival reasons. Also, please understand that we are a nonprofit organization with a small staff trying to do many things, often simultaneously. Call our office at 815-923-2267 to make your library appointment. Tickets available for "Honoring Adelia"
Individuals who are aware of their environment make better citizens. Better citizens vote, participate in community life & teach their children by example. Preserving one’s community provides its citizenry with a visual collective memory. We encourage the appreciation of our environment both natural and built. We provide a family-oriented entertainment and educational destination spot that uniquely and interactively helps tell the story of this county and its people. We are a destination for family-oriented entertainment and education. Visit our Museum events in Union to experience learning more about local history. We create learning experiences and events. We focus on local culture, organizational and family history. We collect and care for notable artifacts. The McHenry County Historical Society has a wide array of volunteer opportunities available for those who are interested.